When you need a break from castles, museums and historic places, Britain and Ireland have plenty of enchanting outdoor sites. When you need a break from castles, museums and historic places, Britain and Ireland have plenty of enchanting outdoor sites. These incredible natural wonders are sure to keep you inspired as you explore the countryside and coastlines of these great countries. Drive the Causeway Coastal Route, one of the world's top five road trips, to find some breathtaking scenery. 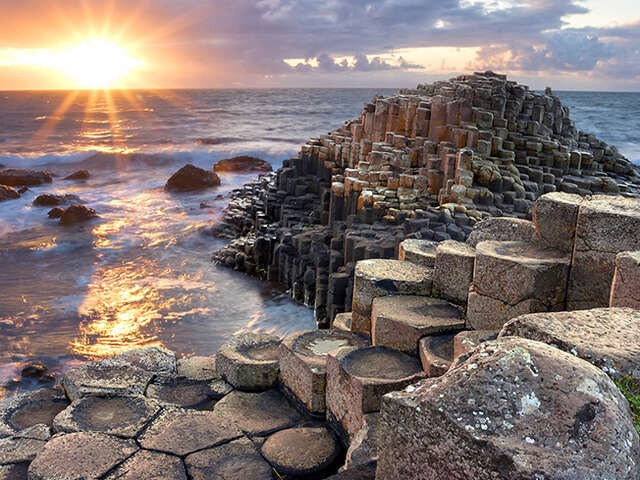 The Giant's Causeway is a natural wonder of layered basalt in polygonal columns which is a UNESCO World Heritage Site. You'll also see stunning coastlines, the Carrick-a-Rede rope bridge and the nine Glens of Antrim along the route. Discovered in 1912, the 11-mile long (17km) cave system is the largest in Europe and considered the greatest natural wonder in Britain. The caves feature walkways past remarkable formations and behind a 40-foot (12 meter) waterfall. Ancient bones have been found here so there's a dinosaur collection, Iron Age village, museum and stone circle at the visitor's centre. 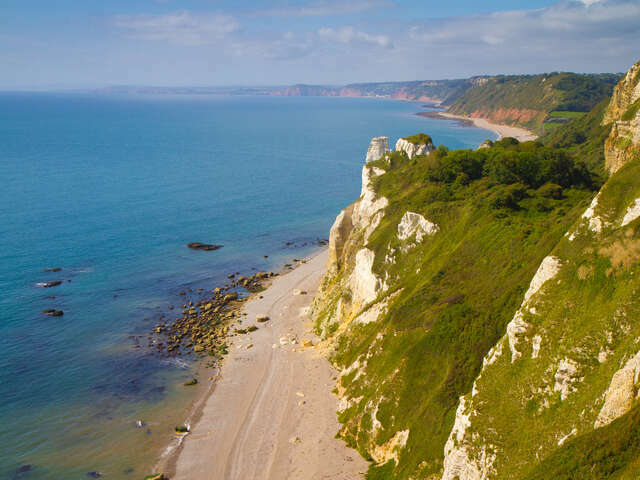 England's first Natural World Heritage Site is a 95-mile (152km) long coastline with a 185 million-year history. Take a fascinating geological walk through time between Old Harry Rocks and Orcombe Point. All along the coast you'll find fossils, rocks and formations of significance as will as many interesting towns and magnificent coastal scenery. At 4,409 feet (1,344 metres) Britain's highest mountain stands proudly near Fort William in the Grampian Mountains. While climbers love the 2,000 foot cliffs of the north face, The Ben also features an easier Mountain Track to the top and several walking trails to significant points of interest and natural beauty. Start at the informative visitor's center at the base. Ireland's most visited attraction is a stunning 5-mile (8km) coastline topped with emerald green countryside. Visit the Cliffs Exhibition interpretive center, take a guided tour or walk the pathways. There;s a Cliffs Coastal Trail for more serious hikers. Bird watching is exquisite here as the cliffs are a major spot for cliff nesting seabirds. "The grandest view in the world" according to landscape painter John Constable, this National Trust site is just 5 miles (8km) north of Brighton. Nearly a mile long, it's the longest, deepest and wildest 'dry valley' in Britain. You'll find a fascinating history along with the spectacular panoramic views. It's the perfect place for nature walks! 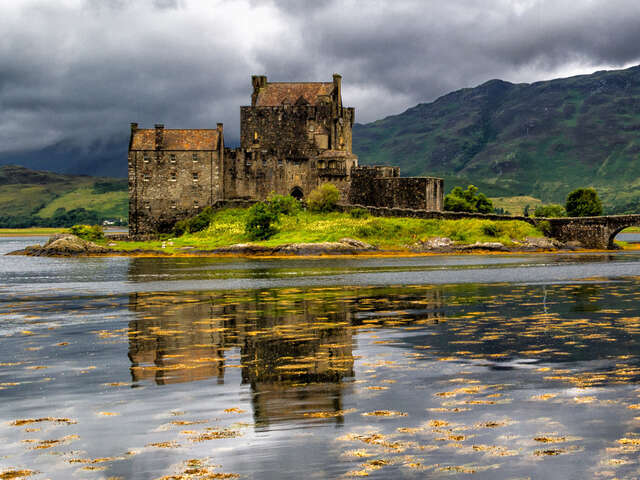 Scotland's lakes are steeped in history and Celtic mystery. Glassy pools surrounded by windswept hills, often with a castle at the edge, they are legendary. The largest, Loch NEss, captures our imagination with its resident monster, rarely seen. Loch Lomond, with its many islands is a leading boating and water sports venue. Lochs Morar, Tay and Awe round out the list of Scotland's five largest lochs. Dramatic and beautiful, the limestone cliffs rise 492 feet from the gorge floor at England's deepest gorge. Take the 274 step walk to the Lookout Tower or enjoy the three mile Clifftop Gorge Walk for incredible views. Enjoy a picnic along the way! Caving in the stalactite caverns, rock climbing and abseiling are also popular here. The magical waterfalls of Wales delightfully plunge over cliffs and gorges making your forest walk even more special. 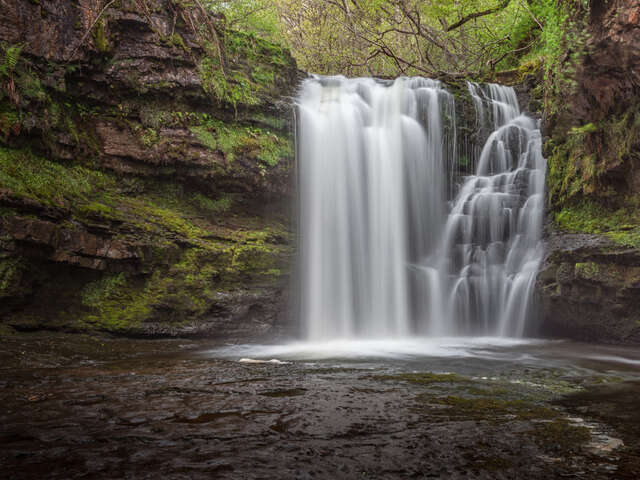 Waterfall Country is found in the southwest of Brecon Beacons National Park. At the waterfalls Centre in Pontneddfechan, learn about the mythology surrounding the local rivers and falls. Used in the filming of Harry Potter and the Deathly Hallows, Part 1, this beauty spot in the Yorkshire Dales is one of England's top walking destinations. The Cove itself is a curving limestone formation with an unusual formation of limestone "pavement" on the top. It features a micro-climate and unique habitat for rare wild flowers, ferns and wildlife.